Have a question for Summit Circle Cebu? "We will definitely stay in this hotel again and will also recommend this to family and friends." "Hotel is well maintained and is in a great location." 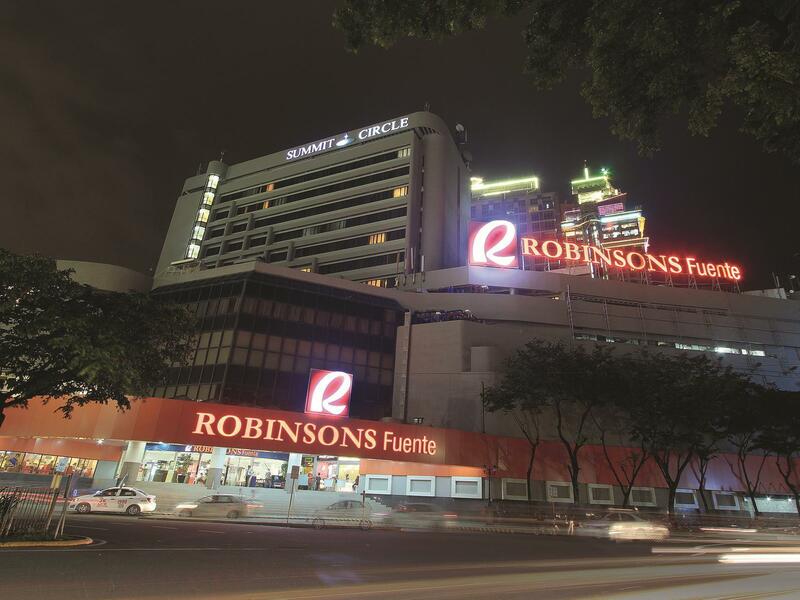 This hotel is conveniently located on top of Robinsons Fuente Mall where there is direct elevator access. The hotel is within a short drive of Cebu’s key attractions, including Magellan’s Cross, Basilica del Santo Nino, Taboan Market, Cebu’s pristine white beaches, and diving sites. 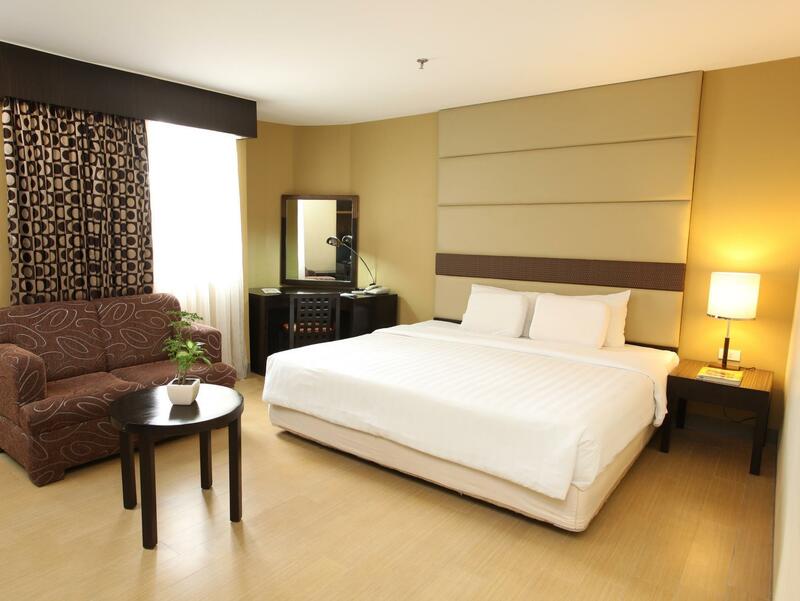 At Summit Circle Cebu, every effort is made to make you feel comfortable. 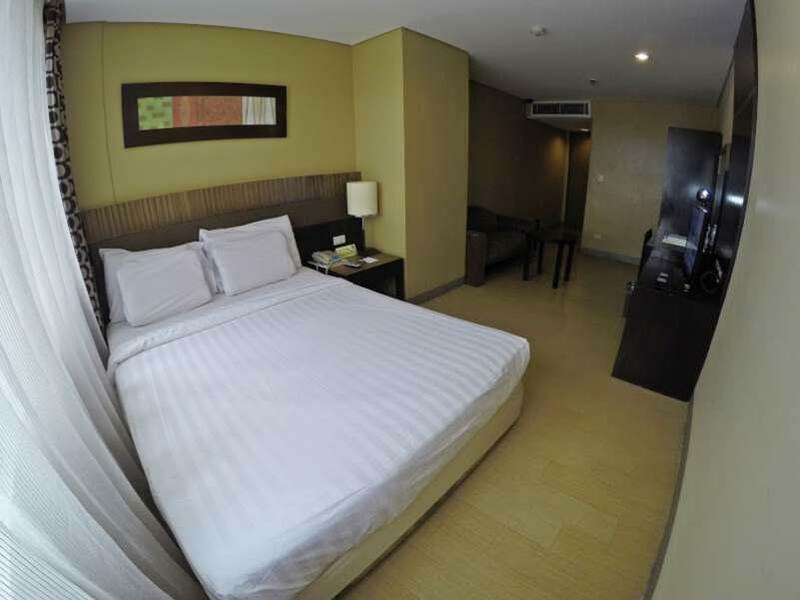 You can enjoy the business center, an a la carte restaurant, a 5-foot dipping pool, smoking and non-smoking rooms, room service, and free Wi-Fi. 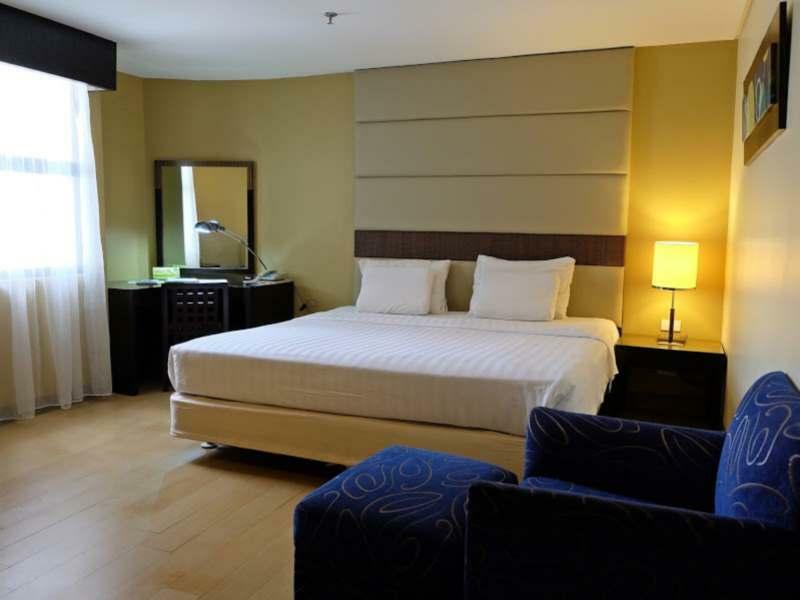 The hotel is also ideally located for those who want to experience the city’s bustling nightlife, from cheap and cheerful street food vendors like Larsian Barbecue to chic cosmopolitan nightclubs and lounge bars and Cebu’s local products. 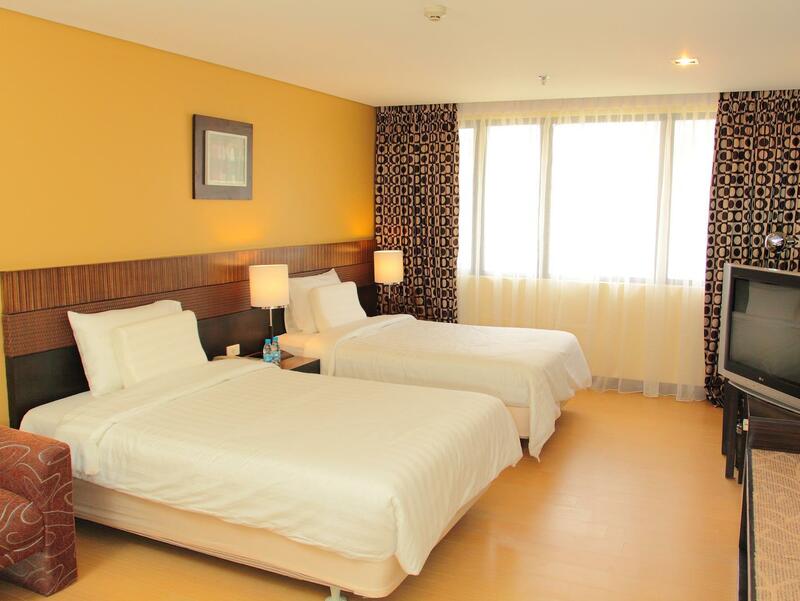 Make Summit Circle Cebu your home away from home and be at the center of everything bright and delightful in Cebu! "The Summit staff is incredible, the support staff and servic..."
While the location and staff were very good, the hotel was not very clean. Everywhere you looked there were smudges and dirt. Room and lobby were smelly and the restaurant was in disarray during the breakfast buffet. Wouldn't go back. Great value for money, but I missed the usual hot water boiler and complimentary coffee and tea in the room.. The place is accessible to many places in Cebu City because most of the jeepneys plying to various routes around the city pass this area. The mango entertainment area is just barely 5 minutes away by walking and shopping can be done right under . I live in the USA and have been visiting the Philippines and the Summit hotel (Midtown originally) for 16 years. I stayed five different visits this trip as I visited, went scuba diving and fishing on nine islands. The Summit staff is incredible, the support staff and service staff are even better. I will be back and look forward to seeing them all again. Pros Good location right in the center of the city and near bars/clubs. Room and bathroom were very comfortable. Best WiFi from far we had in all our trip in Philippines. Cons Swimming pool is really small. The gym was closed for no reason when I wanted to use it at the beginning of the afternoon. Sits atop a Mall for easy shopping with foreign exchange for travelers. Been here several times and the staff are always welcoming... Given that one must be tired from battling traffic along the streets of metro cebu, they are kind enough to accommodate guests who check in way earlier than the prescribed check in time. That’s a 5-star treatment as far as i am concerned! Upon checking in not enough staff at desk had to wait. got to room it was very outdated and bathroom tile was coming up. Room smelled dirty A/C wasn't very cold at all. Need new paint can see earthquake cracks in wall. Restaurant prices real high wasn't impressed so I didn't eat there. 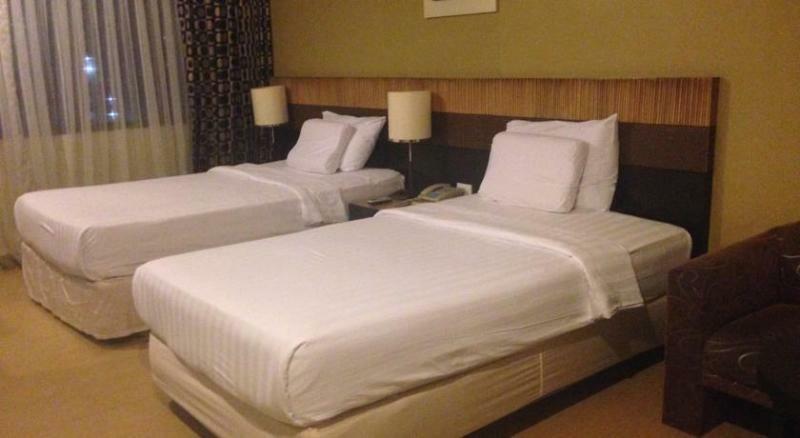 We really enjoyed our stay in this hotel.,it is situated at the very heart of Cebu City and connected to Robinsons department store where you can easily get foods, everything is basically just around the corner, they also have a free shuttle that will carry you to the new Robinsons Mall. We will definitely stay in this hotel again and will also recommend this to family and friends. We booked this hotel last minute after our ferry was cancelled. The junior suite was very spacious, and had everything we needed. In general though, the hotel felt a bit old and outdated. The pool was nice, but fairly small and closed at 6pm, which we felt was a bit too early. The staff were extremely nice, but when we asked for help to establish if the ferries were running or not on the day we checked out, the manager rudely informed the staff that they were not allowed to make a call to a cell phone number, even though it was the helpline number for the ferry. Apart for the unfortunate attitude of the manager, it was a pleasant stay. Room is spacious and clean. Service is good. Location is the best feature. Strategic and accessible to almost everywhere you want to go. Mall and restaurants are located on lower floors. No need to go out of the building. Taxi is not a problem. Shuttle to Galleria is a bonus. It could have been better if the bed is a little firmer so as not to be disturbed when one of your bedmates turns or moves. Pool should be accessible early in the morning and during evening. On check-in was handed a WiFi password. Proceeded to the room and tried to log on; after an unsuccessful try, called the front desk and found out that the WiFi had been inoperative for several days ..... it never worked during our stay. Bath fixtures were well worn and hot water seemed to take forever to get to the tap. Not a lot of people staying or eating there.... don’t think we’ll be back. Been staying at this hotel for 4th time and this time, with my family. We traveled with two kids and glad that they can move around our room because it is spacious and big enough for a family of four.